Pete Carroll. 58. 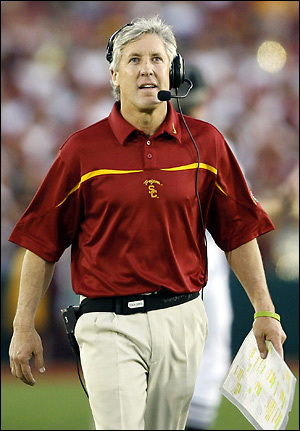 USC’s star, extra-ultra uber-football coach. Hot HOT HOT! Great head of hair. In great shape. A nice guy. Big feature on 60 Minutes last Sunday, and in the current Esquire magazine. *Criteria for Hottie of the Week is at least 50 y.o and hot.